The wah pedal is one of the most iconic pedals out there. It has been used by guitar legends such as, Jimi Hendrix, Frank Zappa and Eric Clapton not to mention countless other artists in many hit songs. In this review we look at four different wah pedals to help you find the sound you are striving for! The wah pedal, also known as the wah-wah pedal, was created by accident in the mid 60’s by an engineer by the name of Brad Plunkett. At the time he was a junior engineer for the Thomas Organ Company and was tasked with replacing an expensive circuit switch with a cheaper transistorized solid state mid range boost circuit. However, we don’t need to bore you with the technical jargon. Basically they were messing around with a solid-state amp and wanted to control the tone better. They put the circuit into an organ volume pedal casing, because they were an organ company, and the result was a footswitch that could create sweeping tones at the touch of your foot. At the time there was nothing like it on the market and as we know it became extremely popular. Known for being used heavily in psychedelic blues in the late 60’s, funk in the 70’s and much more versatile uses in modern day music, it is a must have for any guitar player. Considering the Wah came out around the same time as some gain pedals did it is no wonder that a fuzz pedal matched with the perfect fuzz or distortion sounds unreal! This is the original wah pedal. 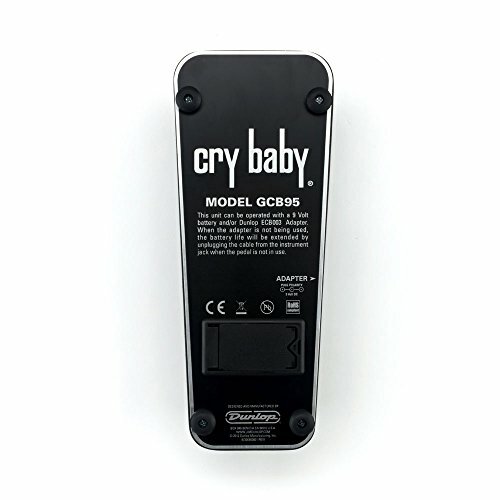 The design of the modern day Original Cry Baby stays true to the construction and electronic design that Brad Plunkett created at The Thomas Organ Company. 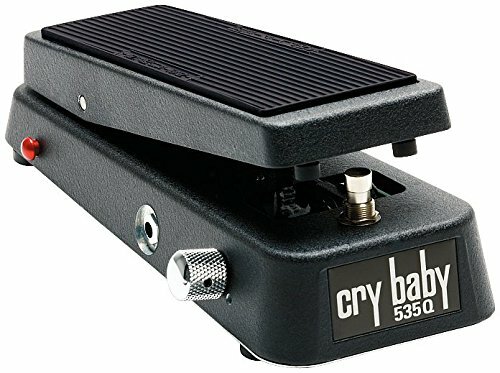 In modern day, there are a dozen different versions of the Cry Baby wah pedal out there but there is something special about the sound of the Original Cry Baby Wah. This was the wah pedal that was first used in so many hit songs by guitar legends Jimi Hendrix and Eric Clapton. When these guys used this pedal it revolutionized blues music and psychedelic styles of playing. If they used it, I will use it 100%. Its rugged metal casing, and well-built foot control pedal makes this an awesome pedal that will last the test of time. It is extremely simple to use, nothing fancy at all, but in this case simple is the best way to go. When used with a clean setting it creates the classic sounding funk wah tone known and loved in the genre. When paired with a distorted fuzzy tone it can make an epic solo sound even better or create a psychedelic washing sound in the background of what you are playing. All and all this is the pedal to go for if you are searching for the classic tones and sounds of the original wah pedal. Definitely a contender for the best wah pedal out there! Vox also made a wah pedal in the late 60’s and was quite popular, offering a different tone and construction to the cry baby wah pedal. The modern day design of this pedal is sturdy and well constructed; it is a strong pedal with a great tone and will definitely last the test of time. The tone when the Vox Classic Wah is engaged is a warm, tubey sounding signal with lots of play and versatility in the foot pedal movement. This is could be a contender for the best wah pedal for funk music as it has a warm tone for rhythmic parts but also a big growl when it needs to. There are subtle differences between the Vox Classic Wah vs the Dunlop Cry Baby Wah. The main differences between the two are basically the tone and whether or not they are true bypass. To me, the Vox pedal is a bit warmer and tubey where the cry baby is a bit crisper. One thing to consider as well is the Vox pedal is not true bypass and the Cry Baby is. Throughout history different guitar legends wanted different tones, sweep ranges and controls on their wah pedals and manufacturers complied. Because of that you can buy many different guitar player’s wah pedals online or at your local guitar store. However, if you don’t know what sound you are going for or want to create your own tone why not buy a pedal that can accomplish that? This is why I wanted to include the Dunlop Multi Wah into this review. We went over where the wah came from and the two best classic wah pedals on the market. Now we need to talk about the modern day wah pedal. The Multi Wah looks and feels like a cry baby wah pedal. However, it is vastly different. Mainly because there are several controls that allow you to adjust the pedal’s sound for various songs, or to tighten up the sound you like best! Although pretty basic, the controls on the wah pedal offer some great versatility. There is a large dial on the right hand side of the pedal that controls 6 different settings. Setting 1 has more treble and as you switch to setting 6 the sound contains more bass signal and becomes pretty fat. On the left hand side across from the large setting dial, there are two smaller dials that control the sweep range of the wah pedal, going from very little range to a lot of range, and the boost control that increases the wah level by up to 15 db. The boost on the wah is toggled on and off by using a small red kick button on the back right side of the pedal. All and all this is a great pedal for anyone who is striving for the perfect tone and wants versatility in their wah experience. Definitely a pedal to consider bringing it home with you. I wanted to include this pedal in this review because I think it is a pretty cool design. The sound is also really great and it was made with the influence of Steve Vai so can’t really go wrong there either. The best feature I think this pedal has is the fact that it is a switchless wah pedal. 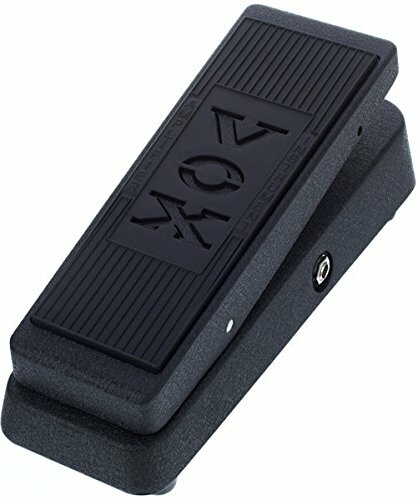 Meaning you do not need to click in the small button at the bottom of the wah like you need to with the Cry Baby, Vox Classic Wah and Multi Wah. Instead, all you need to do is put your foot on the pedal and the pedal engages the wah. 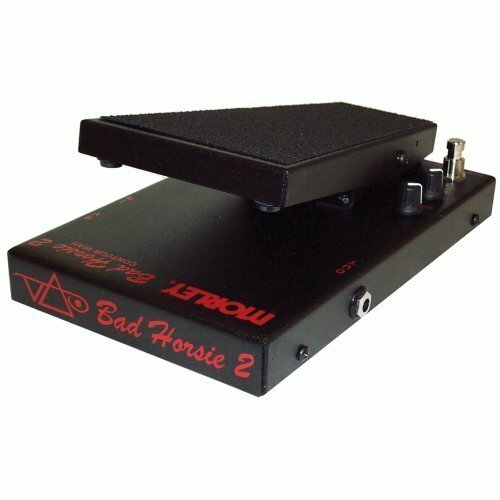 There are also some controls on the Bad Horsie 2 that make it pretty desirable. Two dials on the side of the pedal to control the level and intensity of the pedal. These controls can be engaged when you click the button on the contour of the pedal, appropriately named contour mode.